Australien Future – Tales of Migration focuses on people, birds and memory. The exhibition is inspired by Deb Mostert’s discovery of film footage taken by her Grandfather on board a migrant ship that transported him and his family from Holland to Australia in 1955.
family history with the migration stories of the waders that visit our shores. Migratory birds travel huge distances of thousands of kilometres driven by the basic needs for safety and food, and to be able to reproduce and raise their families in a safe place over the harsh conditions of their breeding grounds. Australien Future raises conversation about attitudes to different migrations and why some people and birds are more vulnerable than others. 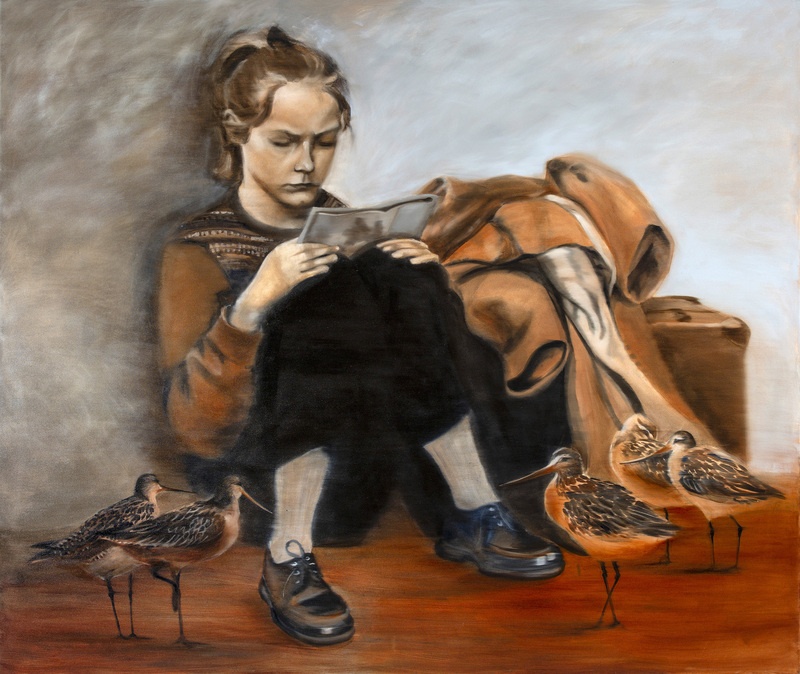 Image: Deb Mostert, Hurry up and wait – Godwits (detail) 2018, oil on canvas. Courtesy of the artist.